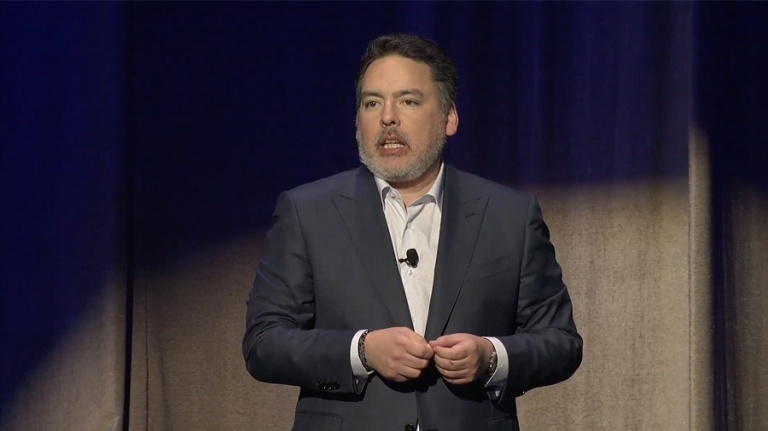 Sony's Shawn Layden on PS4 Cross-Play: "I'm Confident We'll get to a Solution"
Sony offers a statement to Eurogamer on the possibility of cross-play. Sony's come under a lot of fire recently, for refusing to budge on the issue of PS4 players not being able to play with other console players. In Fortnite for example, Xbox, PC, and Switch players can all experience the game together, while PS4 players are strictly separate, playing only with other PS4 players. Our sister site Eurogamer is at the Gamelab conference in Spain, and today put the issue of cross-play directly to Shawn Layden, who you probably recognise from presenting Sony's recent E3 2018 presentation. Eurogamer's Robert Purchese asked Layden directly about the issue, saying "There seems to be an issue at the moment, that Sony isn't listening to its players", and "I wondered if there were any plans to open it up?" Layden replied with a short statement: "We're hearing it. We're looking at a lot of the possibilities. You can imagine that the circumstances around that affect a lot more than just one game. I'm confident we'll get to a solution which will be understood and accepted by our gaming community, while at the same time supporting our business". Just recently when Fortnite finally launched on the Nintendo Switch, players that already had their Epic Games accounts linked to a PS4 ID were essentially blocked from playing the game on Nintendo's console. This led to the heated responses from the PS4 community that you can see just above. If Layden's statements to Eurogamer are anything to go by, it definitely sounds like Sony has been thinking a lot about cross-play of late. Here's hoping Sony is listening to the wishes of its consumers.